Russia’s large landing ship Azov entered the Israeli port of Haifa on Wednesday, marking the first time a Russian warship calls at an Israeli port. Syrian rebels take position in the town of Ras al-Ayn on November 16, 2012.© AFP/ Bulent Kilic. The United Nations considers sending from 4,000 to 10,000 peacekeepers to Syria, a diplomatic source told RIA Novosti on Friday. The source said that envoys of countries whose servicemen constitute the UN peacekeeping contingent, met on Friday to discuss various scenarios of events in Syria. “The problem is that the UN has no extra resources. The UN has a contingent of about 115,000 peacekeepers in various countries, but in order to send [a peacekeeping mission] to Syria, [the UN] will have to withdraw them from somewhere,” the source said. UN and Arab League peace envoy to Syria Lakhdar Brahimi stressed on November 29 that a peacekeeping mission was needed in the country, devastated by a 20-month-long civil conflict. The hostilities between the government troops and opposition forces has claimed the lives of at least 30,000 people. Syrian opposition, however, opposes the idea of an international peacekeeping mission, saying it would only delay the fall of President Bashar al-Assad’s regime. The recognition by the United States of Syria’s opposition coalition as the legitimate representative of the Syrian people shows that Washington is gambling on a military victory by the coalition, Russian Foreign Minister Sergei Lavrov said on Wednesday. “I was somewhat surprised to learn that the US, through its president, has recognized the national coalition as the sole legitimate representative of the Syrian people,” he said. Syria’s opposition coalition has declared its refusal to negotiate with the government and defined its chief goal as regime change, Lavrov recalled. Moscow will seek clarification of the US position on Syria, he added. “In the course of consultations [three days ago in Geneva], we had the impression that the Americans understand the need for an all-Syrian dialog with the government’s participation,” he said. 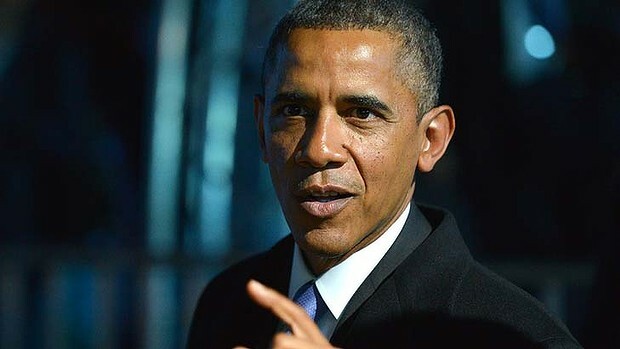 US President Barack Obama said on Tuesday the United States has decided formally to recognize the Syrian opposition rebel coalition that is fighting to topple President Bashar al-Assad as the sole legitimate representative of the Syrian people. “We’ve made a decision that the Syrian Opposition Coalition is now inclusive enough, is reflective and representative enough of the Syrian population that we consider them the legitimate representative of the Syrian people in opposition to the Assad regime,” Obama said in an interview with the ABC television network. In a summary of the interview posted on its website, ABC news said the move did not include a decision to provide weapons to the Syrian rebels but opened the door to that possibility in the future. The National Coalition of Syrian Revolutionary and Opposition Forces (SNCROF) was formed on November 11 in Doha, Qatar and proclaimed itself the legitimate representative of the Syrian people. Its legitimacy has since been recognized by France, the United Kingdom and several other countries.